Aloha kākou! 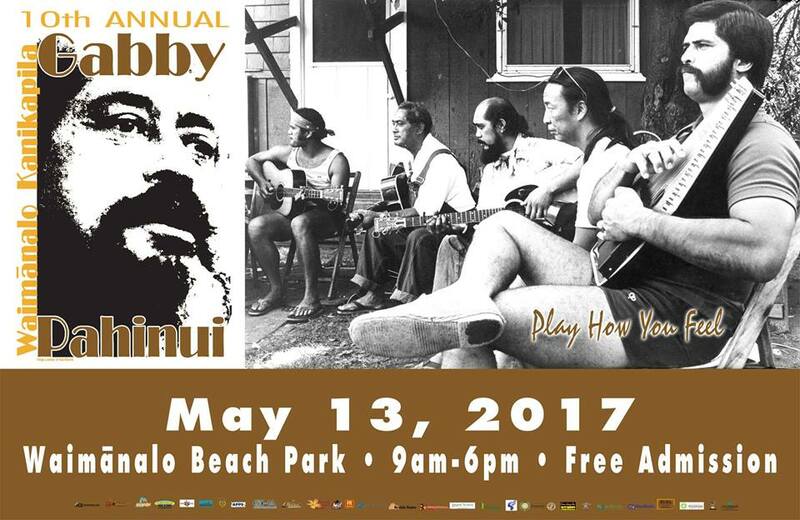 The 2017 Gabby Pahinui Waimānalo Kanikapila is set for Sat., May 13, from 9:00 a.m. to 6:00 p.m. at Waimānalo Beach Park. Admission is FREE! T-shirts are now available for ordering in our online store.